Here at Leightons, community support means a lot to us, that’s why we regularly hold hearing drop-in events for our local communities. Everyone is welcome to join these events, we encourage everyone to get involved and ask any questions they may have about hearing care. It’s important that you take care of your hearing, as well as your eyesight, and these drop-in sessions allow people to understand more about the health of their hearing and how to approach it if any concerns arise. 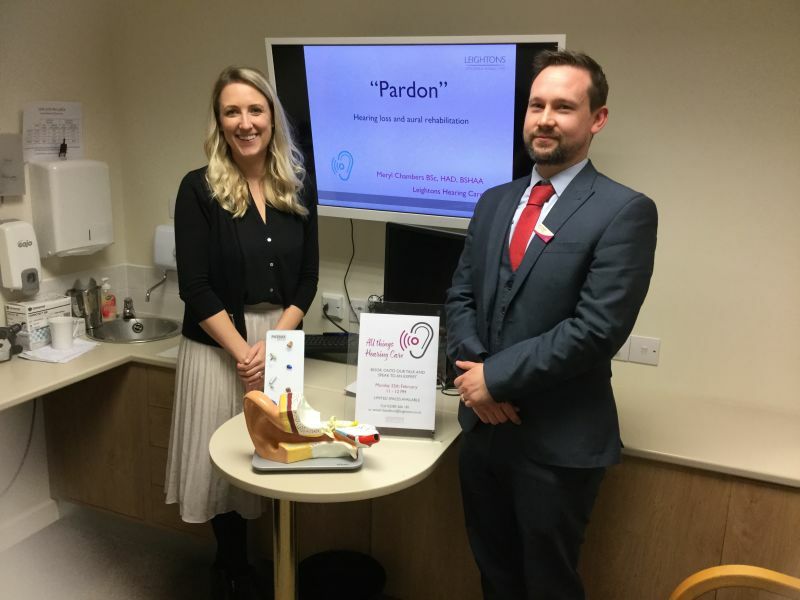 Recently, our audiologist Meryl Chambers and Branch Manager Billy Walder from Leightons Chandlers Ford held a great hearing care drop-in session in branch. It was well received by all those who attended and those we did speak to left feeling much better informed on their hearing care. 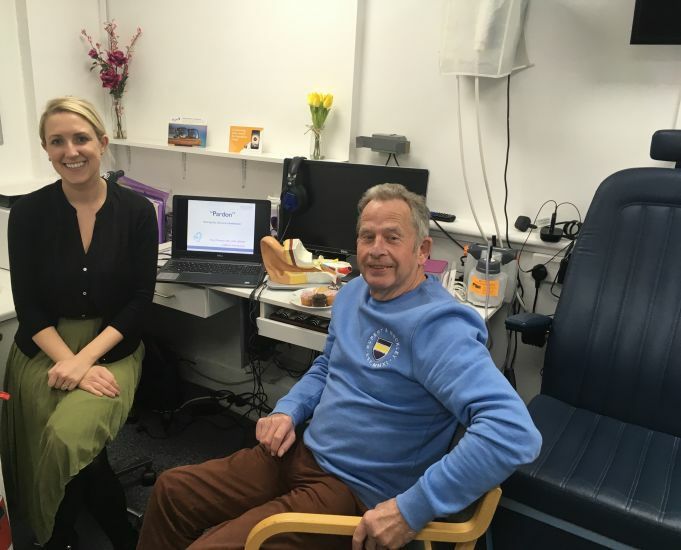 Leightons Totton also recently held their first drop-in event with audiologist Meryl, which turned out to be incredibly successful. Attendee Mr. Bryant, as pictured below, commented that he found the session to be “very interesting” and said he came away feeling he had learnt a few things about his hearing and the importance of looking after it. Our customers really value these sessions as an introduction to hearing care or as a reminder to look after their hearing, and also as a way in which they can express their concerns to our experienced audiologists - without having to worry about fear of judgment or being misinformed. These events aim to support local communities in starting the conversation about their hearing care and understanding the importance of looking after it. We want to encourage people to take the first step in looking after their hearing and hopefully prompt them to book what could be a life changing hearing appointment. Plus, they’re completely free so there’s nothing to lose! Keeps your eyes peeled for the next branch to take part in one of our hearing drop-in sessions. You can find us on Facebook, Twitter and Instagram, where we’ll keep you up to date with any upcoming branch events like these. If you have any concerns about your own hearing, you can book your FREE hearing assessment with your local Leightons branch by calling 0800 40 20 20 or by booking online today.